Speaker(s): David Hatcher D.D.S., M.Sc., M.R.C.D. David Hatcher D.D.S., M.Sc., M.R.C.D. Clinicians are frequently faced with diagnostic challenges, and conebeam CT (CBCT) can be a useful assessment tool. However, viewing anatomy that has been imaged in 3D is typically not a familiar process for the clinician. Clinicians are frequently faced with diagnostic challenges, and conebeam CT (CBCT) can be a useful assessment tool. However, viewing anatomy that has been imaged in 3D is typically not a familiar process for the clinician. This presentation will assist the dentist in developing a straight-forward approach to interpreting scans by offering a review of oral and maxiollofacial anatomy. It will also demonstrate the use of selected tools, including i-CATVision™, to navigate through a CBCT 3D volume, and how to use these tools to indentify normal maxillofacial anatomic structures, as well as anatomic variations and pathosis. Also discussed, will be the documentation of cases and the use of radiology services for interpretation. “What the Heck Was That? Interpreting CBCT Scans” is co-sponsored by Tribune Group GmbH. Tribune Group GmbH is a recognized ADA CERP and AGD PACE provider. David C. Hatcher, D.D.S., M.Sc., M.R.C.D. (c) received his D.D.S. degree from the University of Washington in 1973. Subsequently he completed two years active duty in the U.S. Public Health Service and a one year general practice residency program at the University of Vermont Medical Center. 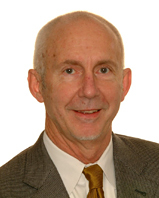 Following three years as an instructor and one year as acting director of the general practice residency and the hospital dental clinical at the University of Washington, Dr. Hatcher entered the graduate program in radiology at the University of Toronto and was granted a specialty degree in Oral and Maxillofacial Radiology in 1982 and an M.Sc. in 1983. His thesis topic dealt with radiology of mandibular dysfunction. Dr. Hatcher was an Associate Professor and Chairman of the Division of Radiology for five years at the University of Alberta, Canada. He was also Director of the Temporomandibular Joint Investigation Unit and Clinic while at the University of Alberta. Presently Dr. Hatcher is in private practice in Sacramento, California and has faculty appointments at both the University of Southern Nevada and the University of Pacific Dental Schools. He has published many articles and lectured extensively to medical and dental organizations in the United States and Canada.